DAVID LE/Staff photo. 5/7/15. 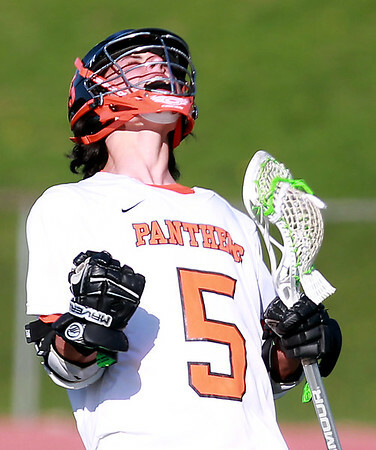 Beverly sophomore Sam Abate lets out a scream of celebration after he scored a goal late in the fourth quarter of play to put the Panthers ahead two goals over Marblehead.